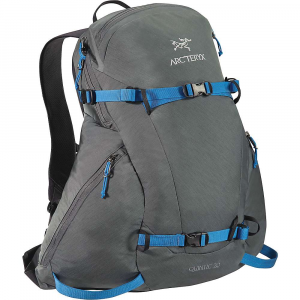 Arc'teryx designers poured untold amounts of energy into perfecting the lowered, wide, and flat shape of the Quintic 38L Backpack. This shape specifically accommodates the movement patterns of skiers and snowboarders. 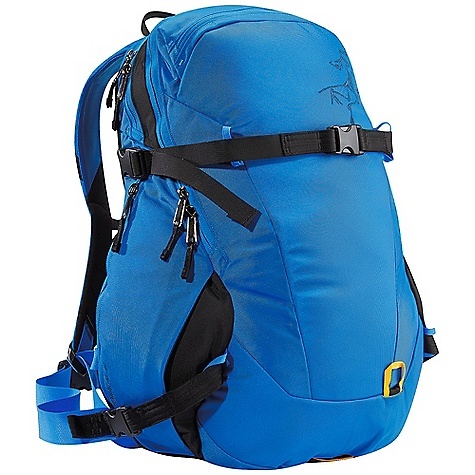 Stable and predictable when fully loaded with your avalanche safety gear and winter kit, this bag serves as the ideal companion for medium-range backcountry tours and skin treks that are a little closer to home. 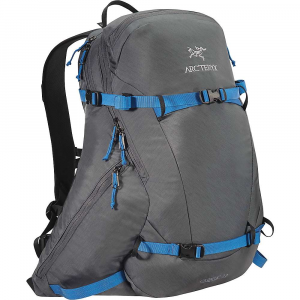 For you backcountry and sidecountry day trippers, the Arc'teryx Quintic 38 Backpack is the perfect companion. A separated, easy access pocket for avy gear and snow tools ensures you don't get your extra layers wet. 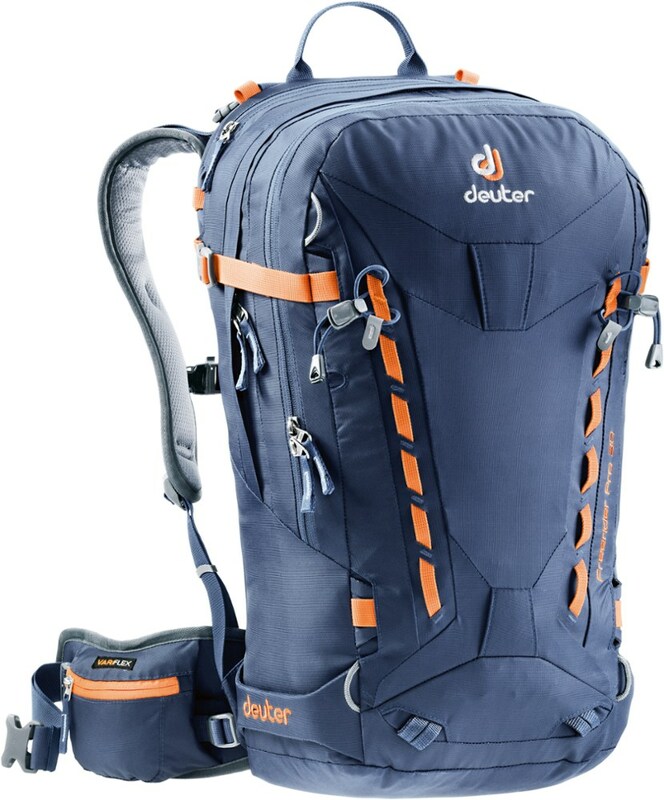 Multiple pockets on the sides and top give you room for water, goggles, snacks, and a few other essentials for your trip. 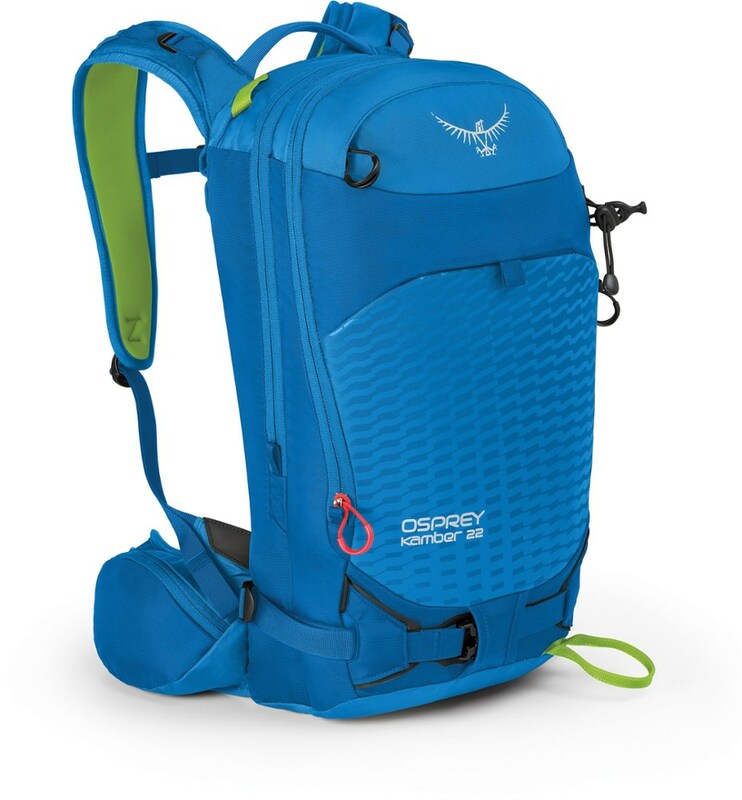 The shape of the pack allows the center of gravity to fall squarely on your hips, mitigating pack swing. 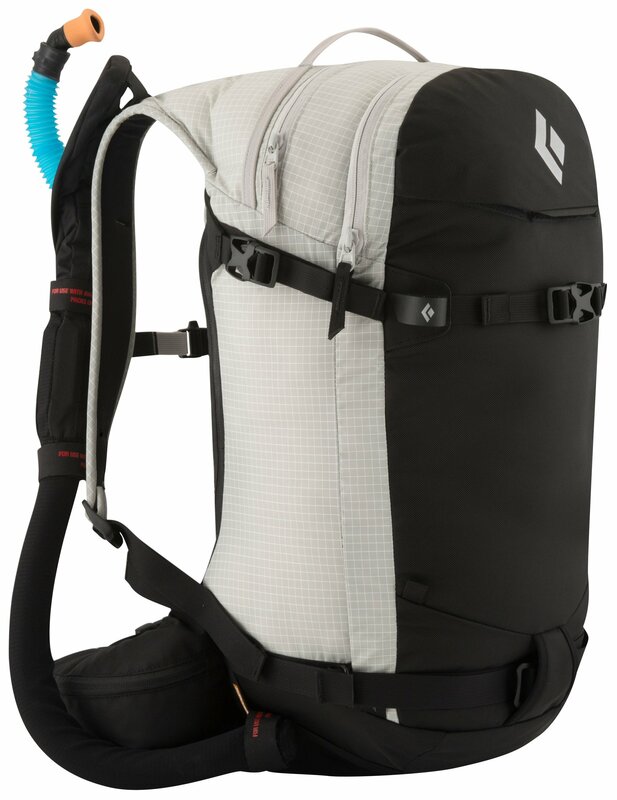 With a-frame and diagonal ski carry attachemnts as well as snowboard compatibility, this pack is perfect for any serious rider. 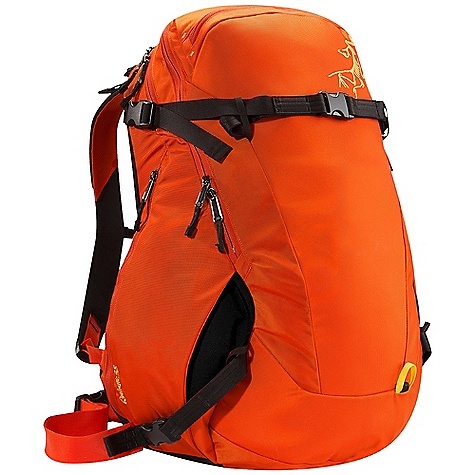 The Arc'teryx Quintic 38 is not available from the stores we monitor. It was last seen January 9, 2018	at Backcountry.com.